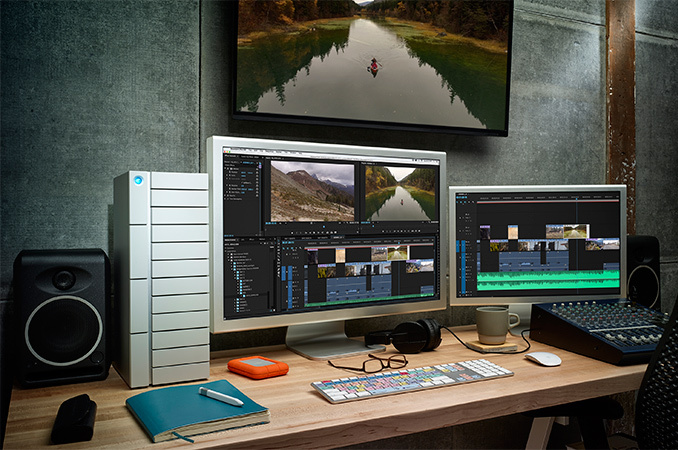 LaCie this week has introduced two new workstation-grade external storage solutions using Thunderbolt 3 with the focus on big on-the-desk data storage. The 6big and 12big devices pack in six or twelve enterprise-grade hard drives respectively and can provide up to 60 TB or up to 120 TB of storage space. The HDDs can be implemented as a JBOD or work in various RAID modes. LaCie’s devices promise to be able to take advantage of Thunderbolt 3’s 40 Gb/s bandwidth by providing up to 1400 MB/s or 2600 MB/s read speeds, which can be important for those who work with UHD video content. The LaCie 6big and 12big DAS with six and 12 drive bays are made of aluminum and come with integrated PSUs and cooling. The storage devices are based on a proprietary platform from LaCie, which supports hardware RAID 0/1/5/6/10/50 modes. Seagate, the owner of the LaCie brand, does not disclose details about the platform behind the new DAS products, but it naturally has a hardware RAID controller (presumably from Seagate’s LSI division) as well as Intel’s Alpine Ridge controller for Thunderbolt 3. The LaCie 6big and the LaCie 12big external storage devices will be sold in various configurations that use different hard drives, all of which support hot swapping and feature 7200 RPM spindle speed. The top-of-the-range 60 TB and 120 TB models use Seagate’s helium-filled Enterprise Capacity 10 TB HDDs rated for 2 million MTBF and 550 TB/year writes unannounced 10 TB HDD. 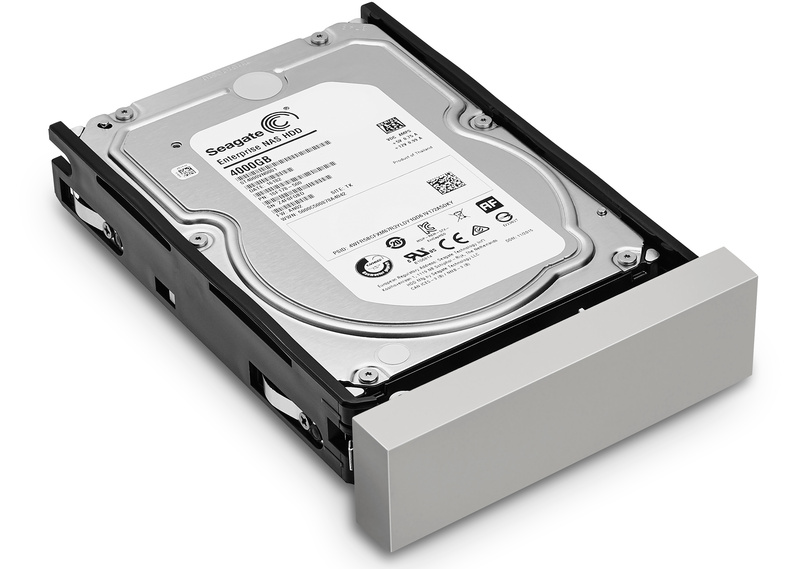 Meanwhile the lower-capacity DAS devices will use Seagate’s Enterprise NAS HDDs rated for 1.2 million hours MTBF and 300 TB/year writes. 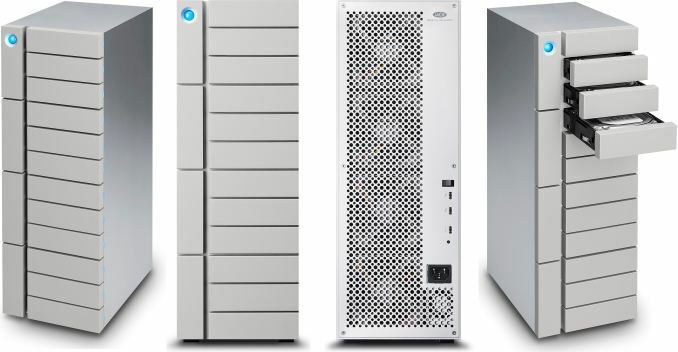 The LaCie 6big and 12big will initially be available fully populated, and from a performance point of view maximum read and write speeds will mostly depend on RAID modes. Update 11/3: As it appears, the LaCie 6big and 12big DAS do not use Seagate's Enterprise Capacity 10 TB HDDs, but rely on unannounced 10 TB drives from the company. Both DAS solutions from LaCie feature two Thunderbolt 3 ports, making it possible to daisy-chain a display or another TB3 device to the storage arrays. In addition, the 6big and the 12big are equipped with one USB 3.1 Type-C connector which allows to use them with systems not equipped with TB3, but at considerably lower speeds (i.e., up to 350 – 400 MB/s depending on RAID mode). Like other LaCie’s DAS products with multiple drives, the 6big and the 12big come with the company’s proprietary RAID management software that allows setting them up and then monitoring the condition of the drives. For pricing the LaCie 6big 24 TB starts at $3199 whereas the LaCie 12big 48 TB starts at $6399. I mean come on, the controllers in these things are probably grand total 35 dollars. Unless the center of gravity is low weight does nothing about stability. You could easily knock over a 10 ton steel pole that balances on its base. This isn't a 10 foot tall steel pole!